Myles Nelson McKenzie Design has been serving clients throughout the United States and Canada for over the last 30 years. We have been providing our design and construction plan services for custom residential and commercial projects. Good building design must be more than aesthetically pleasing in order to be practical and meet the financial realities. At Myles Nelson McKenzie Design, we have the experience to meet these requirements. We expect our clients to be partners with us in the design process, so that we can help them to define their needs and requirements in the endless field of design possibilities. With this philosophy in mind, Myles Nelson McKenzie Design adapts this theme to any size project, whether it is large or small! Contact us today either in Newport Beach, California or on the east coast in Hilton Head, South Carolina. We would love to discuss your project with you! 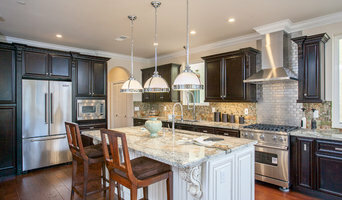 Click on the link provided next to the social media icons to view our Houzz-Hilton Head/Bluffton South Carolina page. How do I find the best Huntington Beach, CA architect for my home design or renovation project? When building or renovating your home, you don't simply hire an architect or building designer — you build a relationship with them. Be sure you chose a home architect who will be involved in all phases of the design process, from the initial concept to the completed construction. Architecture is an incredibly technical profession and one where getting things wrong can literally put lives at risk, so ensure you hire a professional with a valid license or an architectural firm to maintain high quality and standards. Your next consideration will be architectural style. Some residential architects specialise in designing traditional homes or farmhouses, others in designing modern replicas of traditional homes. While a few have a knack for imagining bolder, more futuristic architectural design in Huntington Beach, CA that incorporates the latest technology. How much does hiring an architect in Huntington Beach, CA cost? Home construction and renovation often have a preset budget and hence it is important to understand how much architects charge. While there is no set payment structure, independent architects may charge differently from architectural firms. Architects sometimes choose to calculate their fees on the basis of a per square foot rate. In rare cases, especially with smaller projects, Huntington Beach, CA architects may choose to ask their clients for a fixed fee. Make sure the total figure and payment schedule is agreed as part of your contract, particularly if you are trying to accurately estimate the cost of building a house. 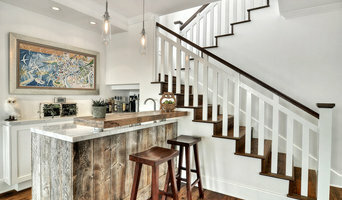 Find a home architect in Huntington Beach, CA on Houzz. 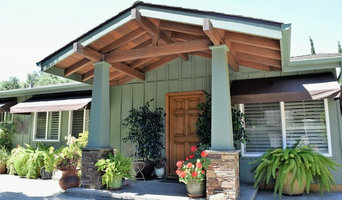 Narrow your search in the Find Pros section of the website to Huntington Beach, CA architects. 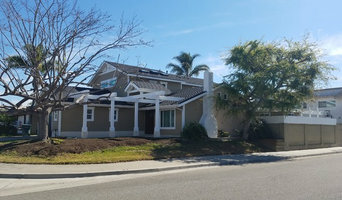 You may also look through photos projects to find building designers in Huntington Beach, CA who have worked on a project similar to yours.